﻿Nothing quite complements a comfortable, stylish home like an array of luxury amenities.  Oaks of Lewisville offers something for everyone. See our available amenities to find something that speaks to you. Get a sneak peak of the good life here at Oaks of Lewisville. Each of our residents enjoy amenities year-round. Pet Policy: We welcome 2 pets per apartment home. There is a $250 pet deposit ($150 non-refundable) for the first pet, and $150 for the second. Pet rent is $25 per month. There is a weight limit of 75 pounds per pet, and aggressive breeds are prohibited. Please call our leasing office for our complete pet policy.